One-of-a-Kind cottage in Kings Beach! 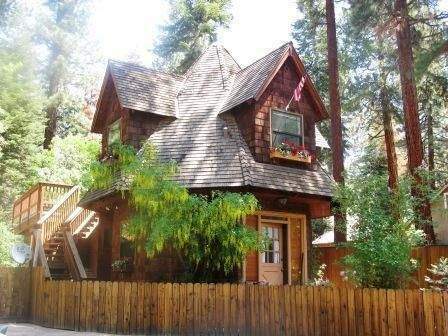 This unique cottage is perfect for a romantic getaway or small family stay! 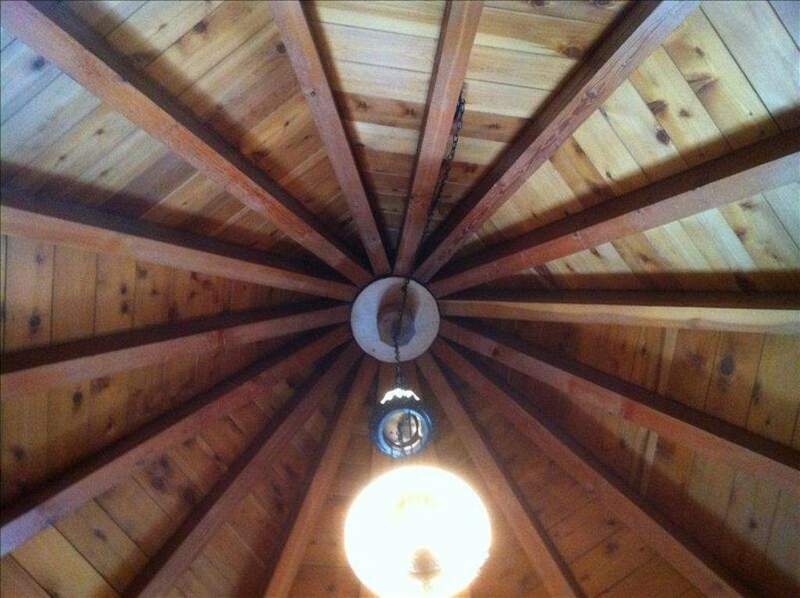 The master bedroom boasts a 20 foot TeePee ceiling forming an octagon shaped retreat. A remodeled on-suite master bathroom has heated porcelain floors. Sleeps up to 5. 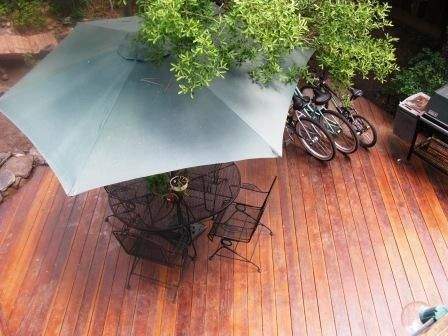 This rental provides usage of bikes and Kayaks! 2 decks provide ample room for taking in the beauty of Lake Tahoe and outdoor entertaining. You can’t find a more unique property within walking distance of the lake! This unique home is completely fenced and located in the heart of the Kings Beach “Grid”. 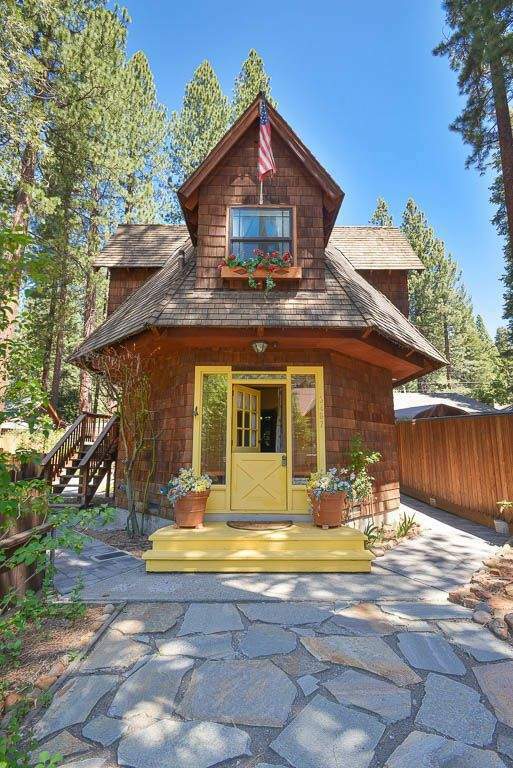 The property known as “The Gingerbread Cottage” by locals has a distinct look inside and out. With two patio areas, one for grilling and one rooftop for views, and use of bikes and kayaks, you might spend just as much time outside as outside! Inside you can snuggle in the queen-sized sleigh bed with the comforts of memory foam and quality linens UNDER the one of a kind 16 beams coming together into a 20 foot teepee CEILING in the octagon shaped large master suite. And enjoy the bright, NEWLY REMODELED MASTER BATH with HEATED PORCELAIN TILE FLOORS. The intimate octagon family room on the main floor has TV and a Blu-Ray with Wi-Fi DVD player with surround sound to stream Netflix, Hulu, Amazon etc. Stay warm on those cool nights with the convenience of the freestanding gas stove. This room can also function as a second separate sleeping area. The main floor bathroom has a SLATE WALK-IN SHOWER with a gentle rain shower head. Additional note this toilet area is tightly built like being on a boat, so may not be best for larger individuals. Enjoy cooking with a full furnished kitchen and high top dining table. Unpack and stay awhile using the stackable washer and dryer. Or take a stroll down to the beach or restaurants. With the most unique house in the area and a prime location, you can’t go wrong with this romantic Gingerbread Cottage! Perfectly appointed, magical Gingerbread house! Perfectly appointed, magical Gingerbread house! The attention to detail with amenities and decor is phenomenal. The location is ideal for dining and shopping. We did not kayak, but we enjoyed the bikes. The backyard is lovely and we enjoyed the deck most all the week we were here. It was immaculate when we arrived and we left it the same way. I can not recommend this rental highly enough nor the property managers, who were always helpful. The Gingerbread cottage rocks! - Christy B. and Kathy M.
The Gingerbread Cottage is wonderful. We enjoyed every moment of our visit. 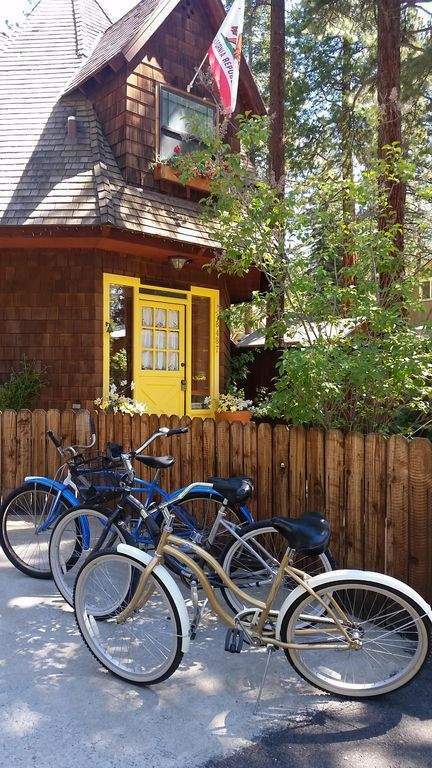 From the kayaks to the bicycles, the amenities are outstanding. The owner has thought of every comfort. We truly loved our stay here and highly recommend. The house is as cute as it looks in the photos! I don’t think the photos do the yard justice, it is really nice out there! Very close to the beach, and anything you’d need!